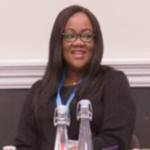 NWABUOGO NNEKA ODUAH ESQ is the Principal Consultant and a director at Corporate and Legal Resources -the parent company of CLR Education Consulting. She has been helping students and families achieve placements at various reputable study centers abroad with a well-established network of International Partners. She appreciates the needs and concerns of parents and is able to work with each student based on individual interests and ability with a view to achieving placements at perfect-fit Colleges and Universities. She has visited most of the institutions we represent and can offer first-hand details on curriculum, admission processes and the general feel of each partner institution. Nneka achieved certification from the British Council as a UK Education Marketing representative and also awarded a Certificate of excellence in UK Education by the Cambridge Education Group UK. Certified by (NCFE) the Northern Council for Further Education UK as an instructor in English as a Foreign Language (TEFL) and (TESOL) has been the resource person for the firms’ SAT, TOEFL and IELTS skills acquisition seminars and workshops for over 15 years. She had attended various international Professional Development workshops, Seminars and webinars on College Preparations and Future of Study Abroad education and related issues.